National Societies implement well-developed internal communication and coordination strategies and mechanisms, which enhance coordination with other Movement components. In sensitive and insecure contexts, effective internal communication and coordination practices can make the difference between responding safely and being exposed to risk by being in the wrong place at the wrong time. An operational management and coordination structure, clearly defining roles, linking branches with each other and with headquarters – and including a critical incident management unit – should be in place and staff and volunteers trained to make timely operational and security risk management decisions. These structures need to be closely coordinated with and/or inclusive of the ICRC and other Movement components active in the context to maximize the overall response. A solid internal communication structure, system and strategy/plan, aligned with the coordination structure and defined roles designed to strengthen the flow of information, is essential for effective operational management. Knowing who is responsible for communicating with whom about what and when, using which tools, helps prevent exposure to risks and to expand access to people in need. It allows for the regular exchange of information coming from a variety of sources concerning the context, associated risks and the progress of response activities. Systematic operational briefings and debriefings, confidentiality guidelines and a system to verify information received from credible sources are some of the components of such a system to be considered. When followed with discipline, such a system should ensure that staff and volunteers are well equipped with vital and timely information enabling them to perform their roles as well and as safely as possible. Appropriate communication equipment, including back-up systems, and training in its use need to be provided and regularly assessed and reinforced as needed. Having well-informed, managed and equipped coordination structures, units and response teams will result in an efficient and safer National Society and Movement response, with the greatest possible access people in need. All materials are hosted on FedNet to protect the confidentiality of the material shared. Establish an operational management and coordination structure linking branches with each other and with headquarters, and including a crisis management unit, and train its members. Establish a solid internal communication structure, system and strategy/plan clearly outlining roles related to the flow of information. Manage the collection, analysis, confidentiality and flow of information, including that emanating from a variety of credible internal and external sources and systematic operational briefings and debriefings of response teams. Provide staff and volunteers with appropriate internal communication equipment and technology, including back-up systems, and ensure teams are trained in their use. Communicate and coordinate regularly with the Movement using established and effective coordination mechanisms. Effective internal communication, coordination and information management, backed up by appropriate equipment, technology and capacities, is important for a National Society at any time. However, it is absolutely crucial when working in insecure contexts as lack of communication and coordination can expose staff and volunteers to serious risks. Rather than planning their actions based on solid information, and being part of a tightly coordinated system in which roles, responsibilities and lines of communication are clear, they may find themselves entering high-risk situations unawares, with no back-up plan and no means of communication. Without a well-structured and clearly defined internal coordination and communication structure and system in place, responders may get carried away by the “humanitarian imperative” and, throwing caution to the winds, rush into situations without fully comprehending the specific context and associated risks. These well-intentioned staff or volunteers can consequently end up in the “wrong place at the wrong time”, with potentially life-threatening consequences. In insecure contexts, gaps in knowledge and communication may have significant repercussions as they may mean that leaders are making decisions with incomplete information and front-line staff and volunteers are acting without the real-time information that is required to access people and communities in need and perform their functions safely. It can also mean that the operation is using resources inefficiently and increasing staff and volunteers’ exposure to risk. An emergency response structure is in place, including operation cells, services and support services, and response teams. A critical incident management system is in place. Who reports to whom is specified. Roles and responsibilities are defined. Movement coordination mechanisms are established. Lines of communication and contacts are in place. Who communicates to whom about what, when and with what means is specified. The technology is in place, people trained in its use, and a back-up system identified. An information management system is in place. Confidentiality guidelines are known and followed. An internal communication and coordination strategy tailored to a response in an insecure context will have a unique dimension for the National Society, as well as a Movement focus. The National Society and each Movement component operating in the context should have an operational management and coordination structure in place, including clear roles and responsibilities and internal lines of communication, fed by an information management system. The structure and systems should be documented and shared with other Movement components. Knowing each other’s structures and systems will enhance the Movement components’ ability to communicate and coordinate, resulting in a robust Movement coordination mechanism in which some of these systems can be merged. Establishing these structures and systems will require some upstream work to document and test them during the preparedness and contingency planning stage, but will pay off during a response. The operational management and coordination structure specifically established for a response in insecure contexts may not resemble the National Society’s day-to-day structure or even that put in place to manage and respond to a disaster. Often the National Society’s leadership is more directly involved in order to fulfil their duty of care towards volunteers and staff owing to the heightened operational risk. Specific structures will be activated, with personnel trained and assigned to special management and coordination functions. An internal communication strategy designed specifically for implementation during a response in an insecure context should include an action plan, templates, tools, equipment and training. It can be a complex exercise to ensure effective communication within a response team, between response teams, between response teams and management, between branches, between branches and headquarters, and laterally with all programmes and services and Movement partners. That is why it is important to have a well-defined structure, with tailored coordination cells and clear lines of communication. To support effective operational coordination and internal communication, an information management system needs to be established. This will help ensure the collection, sharing, exchange and storage/retrieval of relevant information. In an increasingly interconnected world, abundance rather than shortage of information is the challenge. Sources range from a multitude of internet sites, including blogs and social media, to State (multiple departments and levels), armed actors or others with a stake in the events, such as civil society activists, community leaders, religious or other local authorities and, of course, the affected people themselves. Sifting through biases, rumour, assumptions and misinformation is a challenge, as is triangulating and verifying the information received. Information can be distorted or even purposely falsified for the benefit of one of the stakeholders in the context. Determining whether sources are credible and reliable is important, as is having systems and resources and people trained in how to perform their roles in this process. Essential to the effectiveness of any internal communication and coordination system is having the appropriate equipment, technology and capacities, with back-up systems in place should the primary system fail. In insecure contexts, staff and volunteers deployed to respond must be able to stay in constant contact with their base, ensuring the two-way flow of context and security information. Where Movement components such as the ICRC are present in a given context, regular Movement coordination mechanisms need to be established at both the strategic and operational levels or, if already in place, strengthened and tailored for a more effective collective response. It is essential for all Movement components active in the context to share important information about the context or their respective response operations in order to maximize the Movement’s reach and to ensure each organization receives the security information required to deploy its personnel safely, whether on its own or in a joint operation. Spokespersons should be trained, and systems created to develop Movement communication tools, including media releases, in a timely fashion. See ‘External Communications and coordination’ for more information. Have you developed an internal communication strategy and action plan for the specific context in which you are working, supported by relevant templates, tools, equipment and training? How have you aligned your internal coordination and communication structure, system, equipment and technology to reinforce the security and access of your field teams? Have you established and implemented an information management system that captures key information on the context and risks and analyses its relevance to your response? In what way do you manage the confidentiality of sensitive data? Have you developed and implemented an internal operational management and coordination structure, system and processes, including an emergency operations cell (perhaps also in response locations), a response team structure and protocols to support the management of a critical incident? What are the features of the Movement strategic and operational coordination and communication framework in your context that ensures that the best use is made of each component’s capacities and resources and that messages are coherent? An internal communication strategy, including an action plan, templates, tools, equipment and training to support the implementation of the plan, has been established and implemented. Ensuring effective communication within a response team, between response teams, between response teams and management, between branches, between branches and headquarters, and with all programmes and services and Movement partners is a complex exercise at the best of times, but even more so in an insecure context, when tensions may be running high. In such instances, a well-defined operational management structure, with tailored coordination mechanisms or “cells” and clear lines of communication, is therefore crucial and may be life-saving. An internal communication strategy designed for implementation during a response in an insecure context should have a clear vision and focus that supports operations and enhances the ability of staff and volunteers to perform their assigned functions safely and effectively. The strategy should be underpinned by an action plan specifying roles and responsibilities and by relevant tools and templates. All personnel need to be adequately equipped and trained. Appropriate internal communication systems, equipment and technology have been established to ensure reliable and secure communication with field teams operating in sensitive and insecure environments. Coordination mechanisms in insecure contexts are established based on the existing structure and roles and responsibilities within the National Society. They will depend on the focus and scope of the response and are unique to each National Society. Generally, however, they involve creating specific coordination mechanisms or “cells” comprising trained personnel at headquarters and in the response locations, supported by an effective communication system. Each member has a specified role within the cell. Additionally, they would receive guidance in the form of standard operating procedures, including those on communication and coordination, as well as training in the management of critical incidents, when every second may count. Within the coordination mechanism, there are clear lines of “command and control”, as well as well-defined communication lines between the operational management structure and National Society leadership as well as between operations management and the leaders of the response teams, who in turn are responsible for managing two-way and peer communication. 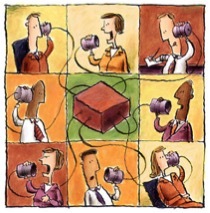 Clear lines of communication are essential in insecure contexts. Everyone should know who to communicate to, about what, when and using what means, including when responding to or reporting a critical incident. Without the necessary communication tools and equipment, including back-up systems to ensure the timely transmission of information, the security of front-line response teams may be compromised. What, in a given response, do all staff and volunteers need to know? What is my role and who do I report to? What is my decision-making authority? How do I coordinate with other branches, with headquarters, with Movement partners? Who do I communicate to or inform, about what, when and using what means? How do I find the information I need? Is it safe to act in this location? Do I have the green light to do so? Who is my direct counterpart in the ICRC? What do I do if a critical incident occurs suddenly? What is or isn’t confidential? how to increase the National Society’s acceptance, security and access, based on a stakeholder mapping and context analysis. Having the appropriate equipment, technology and capacities, with backup systems in place should the primary system fail, is essential to the effectiveness of any internal communication and coordination system. In insecure contexts, staff and volunteers deployed to respond must be able to stay in constant contact with their base, ensuring the two-way flow of information on the situation and security issues. Communication can be a real challenge in insecure contexts, where mobile phone networks may be affected by the fighting, access to the internet restricted or even cut off, and communications infrastructure damaged or destroyed. At the same time, communication within and among response teams and with headquarters is more crucial than ever. Secure and reliable communication systems will not only enable important information regarding the situation on the ground (security incidents, presence of armed groups, etc.) to be shared, but will also provide personnel with the necessary information to facilitate their access to people in need and the conduct of their activities. 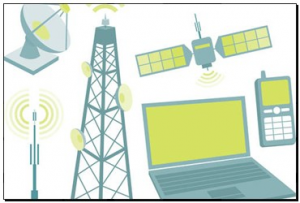 Is mobile phone coverage assured in all operational areas? Would a radio system be preferable? What kind of backup system is available in case of poor coverage? Should personnel working in certain areas be provided with satellite phones? Are conversations conducted over such networks secure? Do all staff and volunteers involved in the operation have the appropriate equipment and know how to use it? The responses to these questions are the domain of telecommunications experts. It is management’s responsibility to ensure the National Society can call on such experts, who, in consultation with operations management, can advise on the best option in a given context and implement it, including in difficult circumstances. It is also management’s responsibility to invest sufficient resources in the maintenance of such systems. Needless to say, personnel must be well trained in the use of the equipment (including backup systems) and familiar with the established lines of communication and attendant protocols. Testing of the equipment by response teams before their deployment is also essential. In situations where personnel may need to react quickly, the breakdown of a communication system can be highly stressful, and even put lives at risk. A system to ensure that reliable, credible sources of information have been determined,information is cross-checked (triangulation), fact is distinguished from assumptions, and misinformation is identified. A sound and reliable information management system, with the necessary resources and trained personnel, will assist in the collection, verification, distribution, storage and retrieval of relevant and essential information. In an increasingly interconnected world, the problem is more likely to be an abundance than a shortage of information. Sources range from a multitude of internet sites, including blogs and social media, to governmental (multiple departments and levels), armed actors and other stakeholders, such as civil society activists, community leaders, religious or other local authorities, and members of the affected population. Information may be distorted or even purposely falsified to suit a particular agenda. Separating the reliable and the credible from bias, rumour, assumptions and misinformation is a constant challenge. Informal methods of gathering information may include: asking at a checkpoint about the situation on the ground; listening to the stories of affected communities; and discussing the needs of the most vulnerable with local authorities. Not only will you glean valuable information about the situation, but you will gain insights into how the National Society is perceived and the relevance of its humanitarian activities. Be aware that the collection of information can be misunderstood or even looked at with suspicion, particularly in sensitive and insecure contexts. The use of neutral language and adherence to confidentiality guidelines are essential. Clear guidance and adequate training in this respect should be provided. 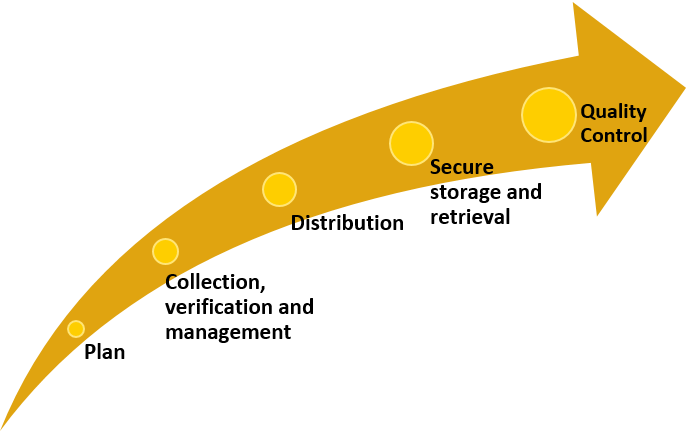 It is necessary to have a centralized repository, where the information collected can be verified, analysed in terms of its relevance to the response operation, distributed in a digestible form to those who need it to perform their tasks adequately and safely, and stored for easy retrieval. Operational management and coordination mechanisms in an insecure context are most likely to be based on the existing structure and roles and responsibilities within the National Society, but their focus and scope will be specific to the situation at hand. Generally, they will involve creating coordination “cells” comprising trained personnel at headquarters and in the response locations, supported by an effective communication system. Each member of the cell has a designated role. Additionally, they would receive guidance in the form of standard operating procedures, including for communication and coordination, as well as training in the management of critical incidents, when every second may count. Within the coordination cell, there must be clear lines of “command and control”, as well as of communication between operations management and the National Society leadership and between operations management and the leaders of the response teams, who in turn will be responsible for managing two-way and peer communication. The operational management and coordination structure established in a specific insecure context is most likely to be based on the existing structure and roles and responsibilities within the National Society. However, often the National Society’s leadership is more directly involved in order to fulfil their duty of care towards volunteers and staff owing to the heightened operational risks. In addition, dedicated structures will be activated, with personnel trained and assigned to special management and coordination functions. A framework for strategic and operational communication by the Movement and operational coordination has been established and includes clear communication and coordination mechanisms, roles and responsibilities, including the clear identification of and preparation of spokespersons. Where several Movement components are present in a given context, regular Movement coordination mechanisms need to be established at both the strategic and operational levels, or if already in place, strengthened and tailored for a more effective collective response. An important aspect of effective Movement coordination is the establishment of a joint communication strategy, plan and shared practice. This would include an agreed understanding of the main communication goals and the creation of coordinated or joint communication mechanisms, procedures and tools, including media releases and key messages. Spokespersons would need to be trained to ensure that the Movement speaks in a coherent voice. For more on this aspect, see “External communication and coordination”. It is essential for all Movement components active in the context to share with each other important operational and security information in order to maximize the Movement’s reach and to ensure each organization is able to work safely and effectively, whether on its own or in a joint operation. To learn more about the actions and measures linked to this element, click on the button marked “Practical tools and reference materials” to access tools or on the “Safer Access in Action” map to read individual National Society accounts of the actions and measures they took when operating in sensitive and insecure contexts.